1.1 Before You Begin - Do a Backup! It is inevitable with the Sims 3 that for every patch series update or CC installation we do, something would get messed up and the only fix is a fresh, clean slate. To achieve that, or only option is a reinstall. And with Sims games, a manual uninstall is always necessary as the game uninstaller(s) usually leave bits of information behind. This is important, especially if you have CC placed in the \Mods\Packages\ folder - the framework components need to be removed, to ensure everything is wiped out properly for the next reinstall to work without any glitches. If any of the registry entries or leftover folders listed below are missing after you uninstalled the game, either via Start Menu or Control Panel, that is perfectly fine. This guide is to verify that these things are gone before we do a clean reinstall. Before You Begin - Do a Backup! If you're uninstalling and you have custom content or mods that you would like to save for another installation, you can find them in these default locations for your Operating System. If you have any Expansion Packs and maintain custom content in a \Mods\Packages\ folder other than in The Sims 3 root, remember to backup the contents in those paths, too. Go to the path shown in the image to find your Digital downloads, and backup those installer files. You might also be interested to read Game Help:EADM Issues. Go to Start/Control Panel/Programs & Features (Vista/W7) or Start/Control Panel/Add Remove Programs (XP) Then follow the on-screen instructions to uninstall the game - it's a standard "next, next, next" type uninstall. 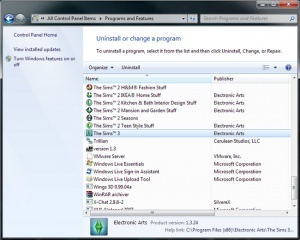 There will be separate uninstall options for every expansion and the base game, just like with The Sims 2. Uninstall according to release dates, going backwards. If you have EADM and/or CAW, you can include these to wipe everything EA related from the machine but it is optional. Unless you have a known issue with the EADM version installed, or the Launcher is not working correctly, or EA has released a new EADM version, etc, you won't need to uninstall EADM. For the most part CAW can be left alone. Now you need to restart your computer, before continuing with the guide. It is best to check for these, if after a restart, the folders and registry entries are still not cleared properly. It's fine if the entries are missing, as the uninstaller may have done its job properly. But double-check to make sure you're not just looking at the wrong spots. Click the Start button and select My Computer. Select the Program Files folder. Right-click The Sims 3 and select Delete. Right-click the EP/SP name eg: The Sims 3 World Adventures and select Delete. 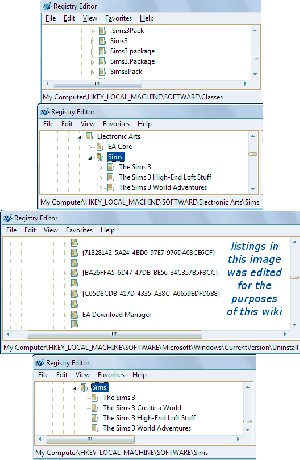 Right-click The Sims 3 Create a World Tool and select Delete. Right-click The Sims 3 Create a Pattern Tool and select Delete. If your user group do not have Administrator access, UAC will make a copy of the \Mods\Packages folder in VirtualStore. For a complete cleanup, these folders need to be checked, too. If you cannot see the folder or its contents, read this section on how to Unhide files & Show file extensions. Go to this path and ensure that it is empty as well. If you have an Expansion Pack or Stuff Pack, you may want to verify the content for those respective folders in the Virtual Store are removed as well. Download this registry cleaner program, and install it, following the on-screen instructions. Launch the program after installation has completed. Click the Registry tab, and click the Scan for Issues button. When scanning has completed, click the Fix Selected Issues... button. Hold down the Windows key and press R.
At the Run command, type in "regedit" (minus the quotes) and select OK. Choose a location and name for the file; this will be your backup registry file. Locate the following entries by expanding the " " to get to the next level or the " " to collapse it. If any of the entries are missing, that is fine. This means the uninstaller for that program has done its job. If you're uninstalling certain packs/programs only, do not delete the "parent" folder but remove its "children". Right-click each of the entries below and select Delete. If you're uninstalling the tools as well, select the entries for these as necessary. Select the Local Disk (C:) drive folder. Select the Program Files folder (or Program Files (x86)). Select Tools, then Folder Options, then View, then select "Show hidden files and folders." Select the InstallShield Installation Information folder. The Sims 3 should now be completely removed from your system. 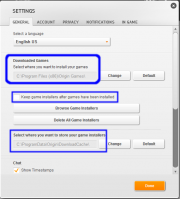 To completely uninstall the game [source: this post], carry out the following steps. On Lion and Mountain Lion, some of the folders are Hidden, so you may need to unhide them first before you can view them to delete. 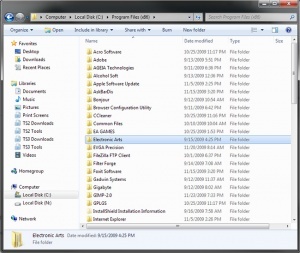 rename your /Users/<User>/Documents/Electronic Arts/The Sims 3 folder – you can keep this as a backup, so that you can put your old savegames, syles, screenshots etc back once reinstallation was successful. Run the Disk Utility and select your hard drive in the left hand column and press "Repair Disk Permissions"
There's now a CCleaner for Mac, which can help with the Uninstall cleanup steps. After you have uninstalled and done all that, reinstall and patch by following these steps. Complete Patching instructions can be found here. This page was last modified on 29 November 2013, at 00:18. This page has been accessed 309,840 times.